A vacuum pump inlet trap for plastics extruders that combines a knockdown stage with multiple stainless steel gauze filters to protect vacuum pumps from volatiles has been introduced by MV Products of North Billerica, Massachusetts. 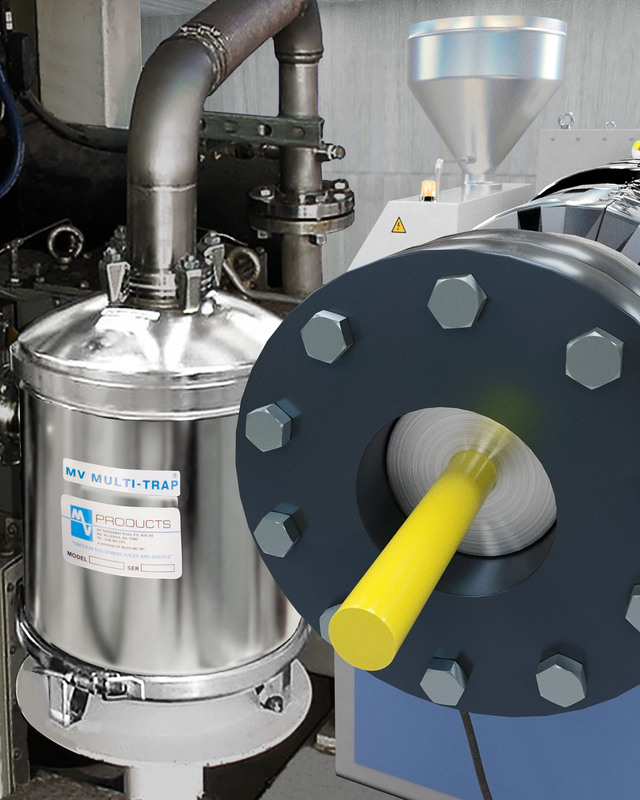 The MV Multi-Trap® Vacuum Inlet Trap protects extruder vent lines and vacuum pumps from the volatile materials and process byproducts resulting from plastics extrusion which can cause premature pump failure. Featuring a full knockdown first stage baffle and a second stage of stainless steel gauze filters, this trap provides more effective trapping than knockout pots. Suitable for all plastics extruders including polystyrene, PET, PP, PE, PS, and PVC, the MV Multi-Trap® Vacuum Inlet Trap is made from 304 stainless steel for pump capacities to 2000 CFM and is offered with 1.5” to 6.0” port sizes. Options include drains and float switches for the automatic disposal of volatile compounds where necessary, and other filter types for vapors. The MV Multi-Trap® Vacuum Inlet Trap is priced from $2,175.00 to $4,985.00 (list); depending upon size and configuration. Sizes offered are 10”, 12” and 16” dia. Literature and pricing are available upon request.